It's your job to make sure your home sweet home is actually sweet. All you have to do: Fill it with furniture that speaks to your unique style. 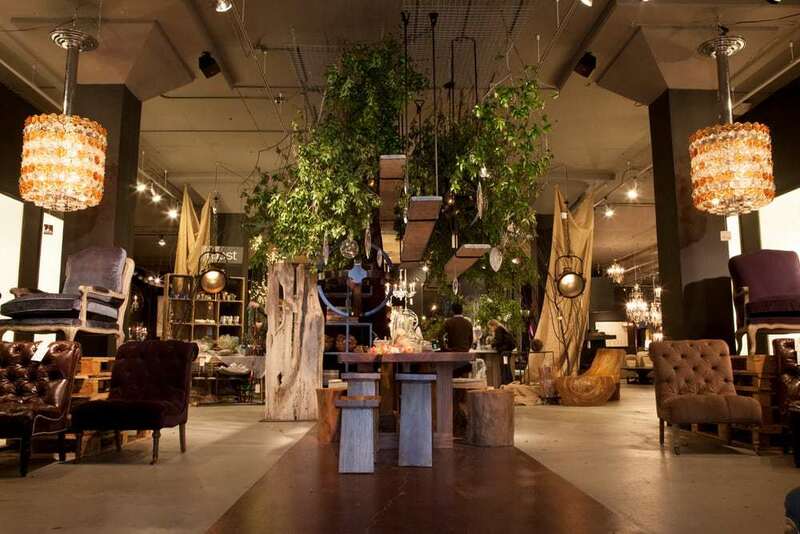 Whether your vibe leans vintage-y, modern minimalist, over-the-top glam or cozy comfy and whether you're looking to redecorate an entire apartment or zhuzh up one room, there's a store for that. 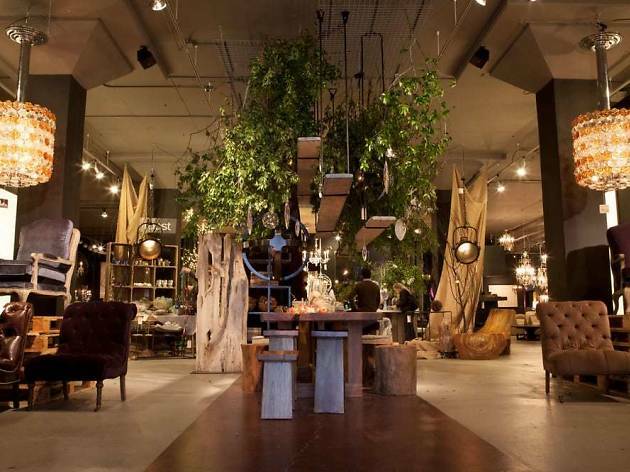 Here are the best furniture spots in San Francisco for budgets of all types. Happy hunting. 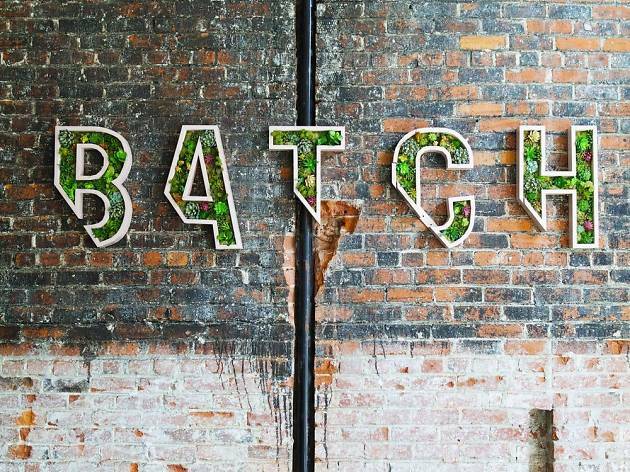 This newbie retailer, located in a onetime firehouse (circa 1916), is a next-gen showroom that puts shopping-as-experience into practice on the daily. The high-ceilinged, warehouse-like shop is set up like a home, where opening dresser drawers, bouncing on a love seat, peeking in cabinets and chilling, supine, on a rug is 100 percent encouraged—and all part of the fun. Basically, everything is for sale, including the gorgeous furniture, home accessories, and more eye candy than you can imagine. 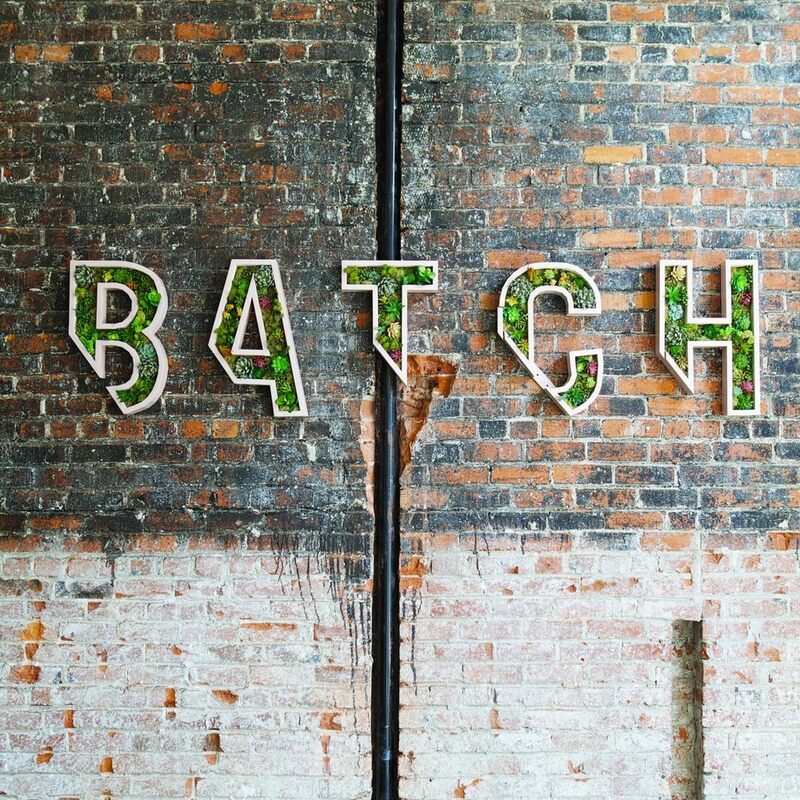 The roster of local and international brands is refreshed often, when the always bright and magazine-spread-ready pad gets a whole new, ahem, batch of stuff. This huge warehouse is a veritable wonderland for one-of-a-kind antiques, vintage and reproductions from around the globe. On any given day, the beloved Potrero Hill furniture spot, which also serves as a funky event space and go-to for prop stylists and interior designers, may turn up cozy-cool vintage leather love seats, industrial side tables, mix-and-match mid-century folding chairs, old-time signs (hello, loft dwellers) and quirky art and accessories; think pillows, steamer trunks and unique tabletop items. It's virtually impossible not to have fun while shopping for blasts from the past at this happy place. True story: co-owners Illy McMahan and Kelley Wehman met at Burning Man 10 years ago. 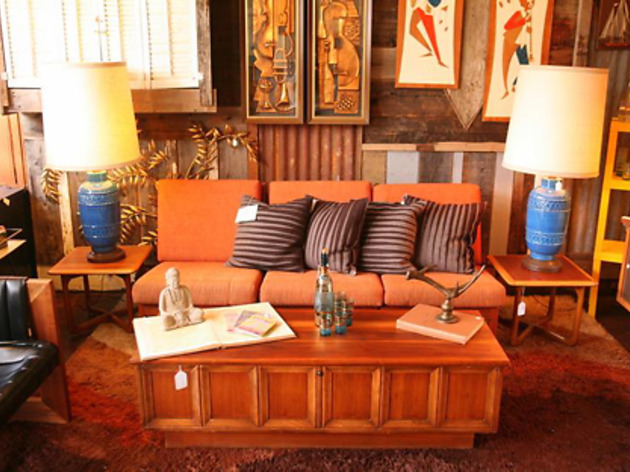 Their shared love of vintage and antique furniture, art and the like led them to opening this Mission consignment shop in 2013. 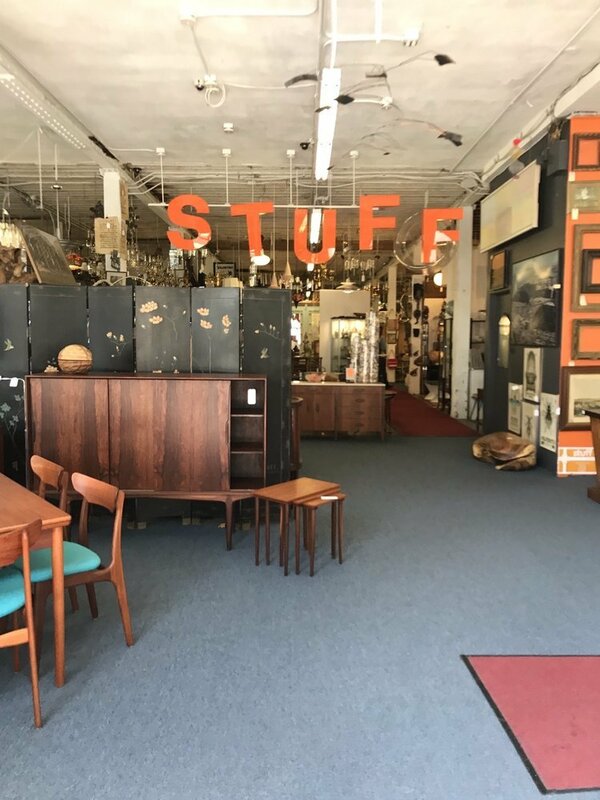 The cool space—with original tin ceilings, reclaimed wood paneling and embossed wallpaper—reflects the aesthetic of the mostly mid-century modern treasures and newly spiffed-up architectural salvage furniture sold in in the shop. 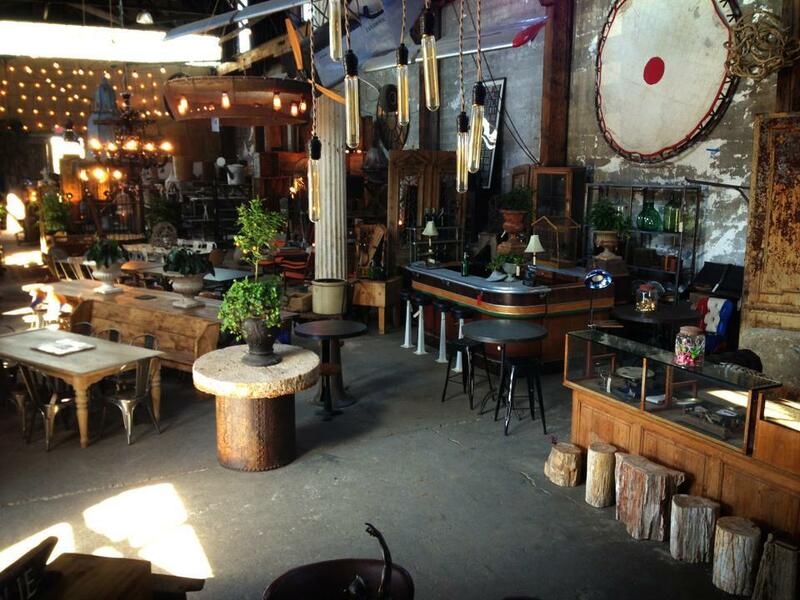 Along with armchairs, sofas, dressers and desks, you'll find a wealth of vintage décor and accessories. No wonder this place is popular. Mamma mia! 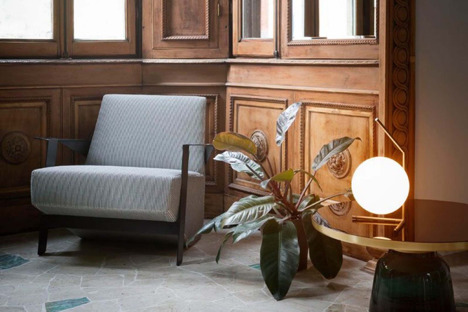 Strolling through this 15,000-square-foot showroom with an emphasis on Italian furniture is akin to walking through the pages of Architectural Digest. No doubt, the luxe vignettes will inspire as you move from one sumptuous couch to the next. Along with contemporary Italian brands ( i.e. 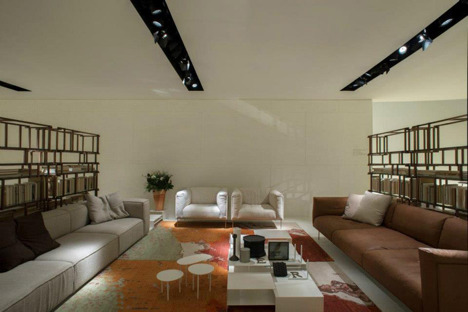 Boffi, Glas Italia, Moroso Paolo Lenti and Zannotta,), you'll find cutting-edge designs from a range of European designers. Local artists show up in a sublime selection of paintings, sculpture and photography. 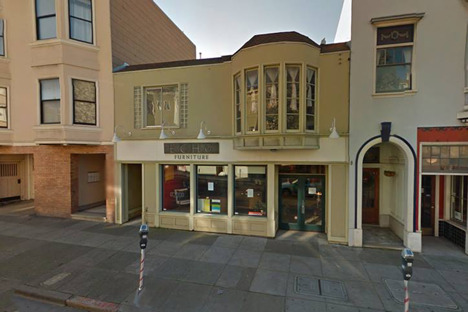 This small Noe Valley shop is the perfect antidote to impersonal big-box stores. Friendly, go-the-extra-mile customer service has been the name of the game here for 20-plus years—exactly why city dwellers continue to flock to owner Cliff Williamson's storefront. The custom wood furniture is particularly suited to those living in small apartments where every inch counts. Affordable beds, dining tables and dressers are available in a variety of styles and from an array of brands; sofas, sectionals and armchairs can also be custom upholstered. Window coverings and a smattering of accessories and lighting round out the merch. 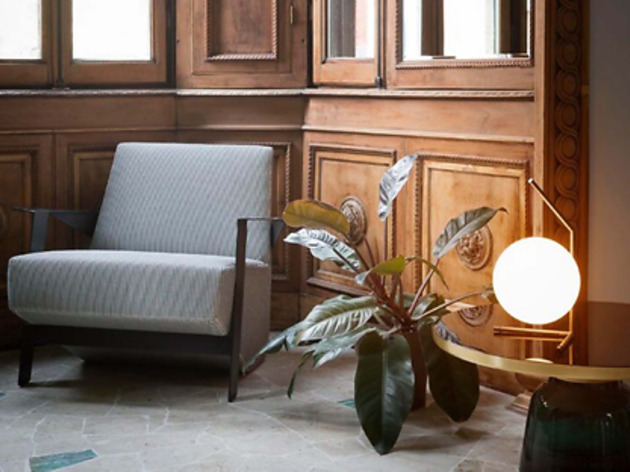 Modernists and those who prefer to shop from a well-edited selection of beautifully crafted furniture, especially lighting, are sure to fall for David Alhadeff's renowned showroom. 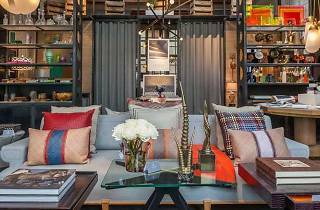 It's a showcase for studio-created, one-of-a-kind limited editions and collaborations with influential artisans and talented designers including Piet Hein Eek, Mathew Hilton, Lindsey Adelman and Charles de Lisle. The minimalist yet splurge-worthy beds, sofas, chairs and tables lend style and sophistication to whatever room they inhabit. 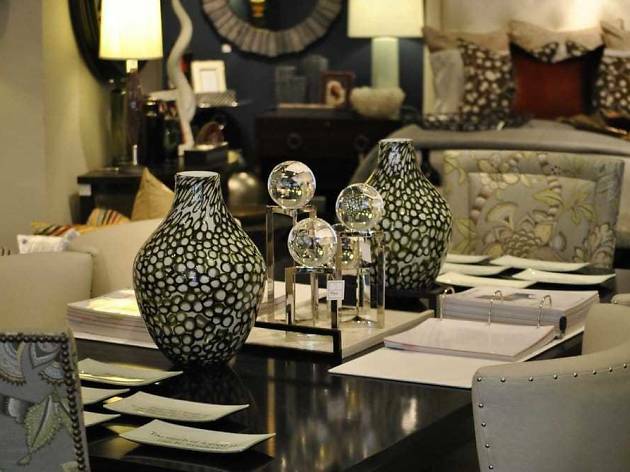 The tabletop items, cashmere throws, hand-blown glassware and objets d'art are worth a visit in their own right. 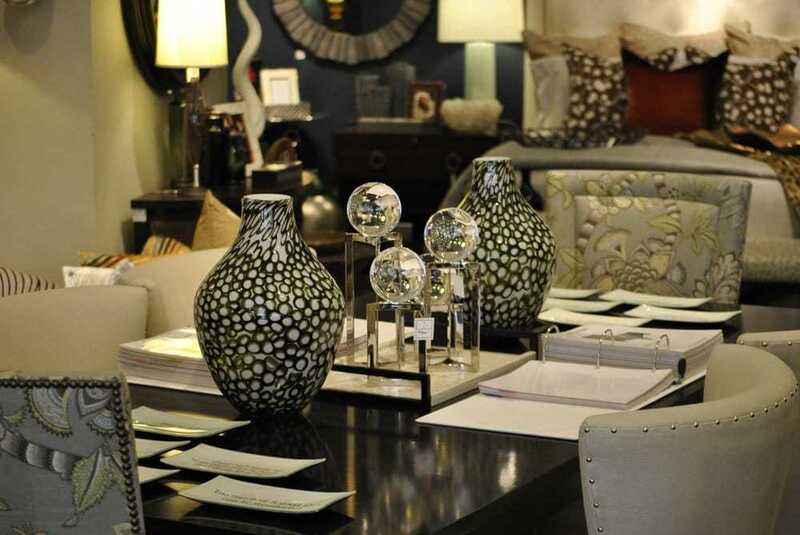 No matter if your interior aesthetic leans contemporary, classic or somewhere in between, this one-stop China Basin shop has your back. 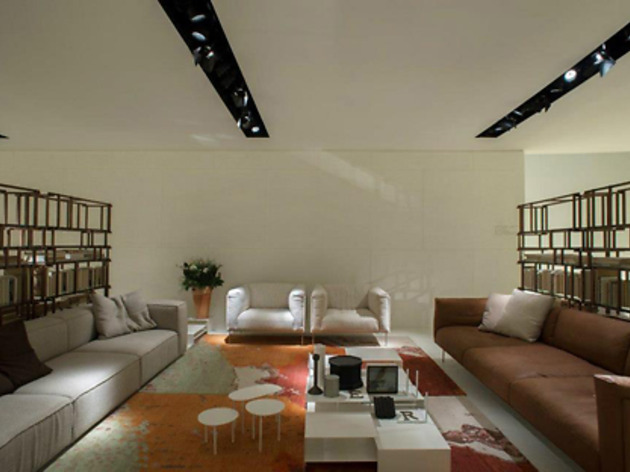 It's filled with high-end furniture for every room, and nook and cranny of your apartment, flat or house. Be prepared to stay a while as the colorful space is cavernous and packed with tasteful dining sets, whimsical lighting, vintage accents, gorgeous desk chairs, and so much more. Minimalists, this is probably not your jam. 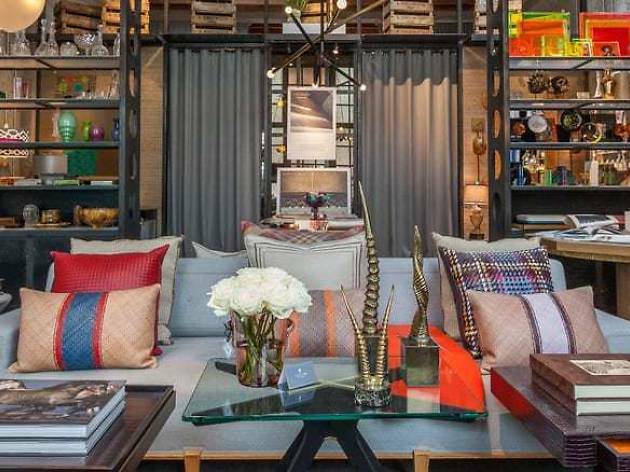 Local celeb designer Jay Jeffers' namesake Tendernob store is filled with an eclectic mix of luxury furnishing and finds, heavy on the glam factor. It's impossible not to be wowed by the beautiful space with money-is-no-object contemporary pieces and scene-stealers at every turn. Marble headboard beds and brass Ouija tables by (wh)Ore Haus and hand-stitched top-grain leather saddle chairs by AMKD mix it with up vintage and antique treasures. The truly unique home accents, decorative arts (resin skull with peacock feathers by Laurence Le Constant, anyone?) and gifts are pretty amazing, too. This upscale Hayes Valley store has everything you need to lay the foundation for a refined and modern living space, bedroom, office or nook. The focus is on classic contemporary American design with furnishings made from distinctive woods, finishes and fabrics. (Yes, there are lots of custom options.) 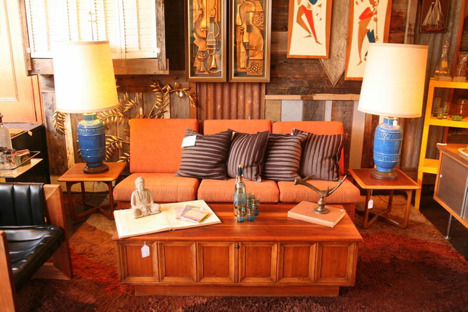 Unique items you'll find include sofas, armoires, dressers, rugs, lighting all manner of tables (coffee, side and console) and more. Cool accessories—candles and picture frames to trays, vases and wall art—are perfect for gifting, and keeping. 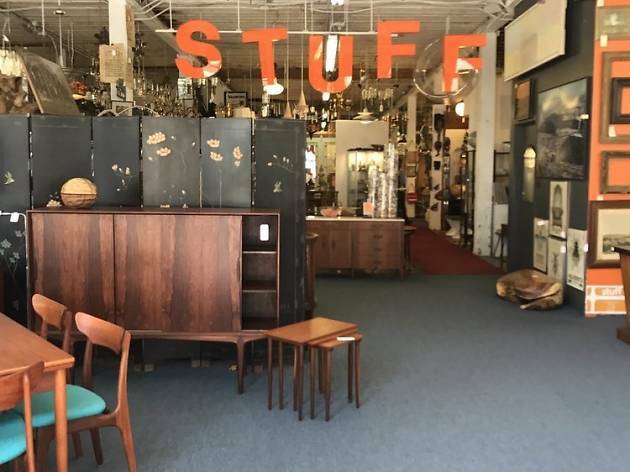 Like, who doesn't like stuff, especially when it's the motherlode of vintage furniture, accessories and art in a Mission District warehouse? 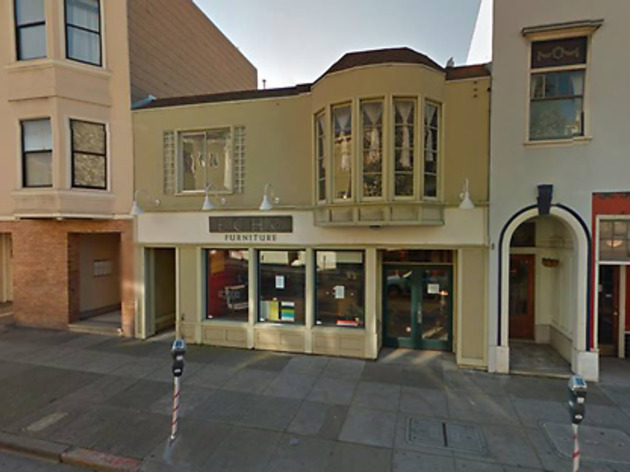 Virtually, no one, which is why this two-level 17,000-square-foot store has been a go-to for SF thrifters and hipsters since it opened nine years ago. Yeah, sure, it's cluttered but don't let that throw you—there's vintage treasure from virtually every decade and style to be hunted. And with an ever-changing inventory, there's always something new. Co-owners Will Lenker and James Spinello have sharp eyes, and, yeah, they really know their stuff.